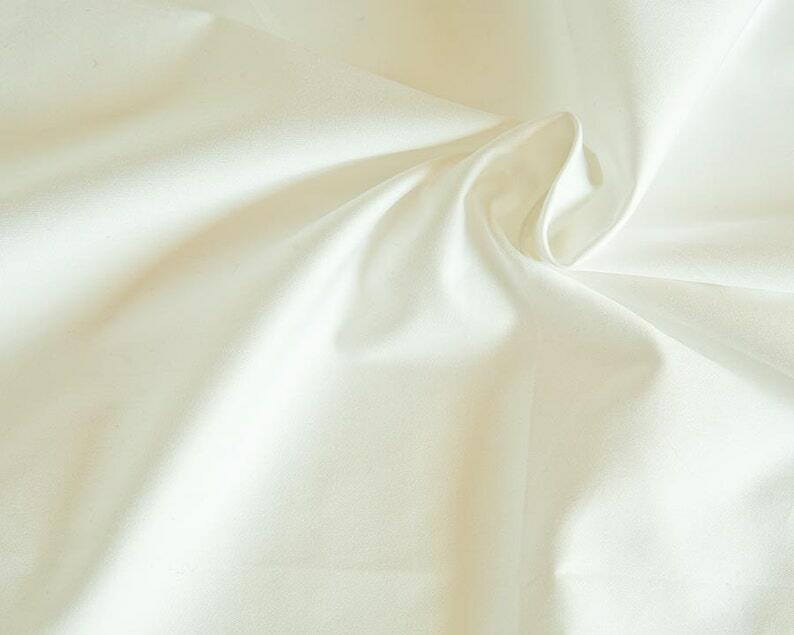 This gorgeous sateen will be perfect to make wedding dresses, flower girl dresses, as well as incredibly luxurious, soft and sustainable sheeting. It will also be perfect for baby's DIY bedding (sheeting, sleepsacks, sleeping bags) and clothing. It is a very nice weight and is very easy to sew.. Wide width 306 cm (120 in) - Please contact me if you would like half the width. Unit: sold by the meter (1.09 yd, a little bit over a yard) - Please contract me if you wish to get a specific length.